In the first article, we discussed the 5 common methods bakers use to price their all-occasion cakes, not including wedding cakes. In the second article, we discussed how to judge a cake artist’s or bakery’s pricing by the overall value they offer by using a 1-5-star rating system like choosing a hotel. In this third article, we’ll discuss the variables to price a cake and how it effects the final price. 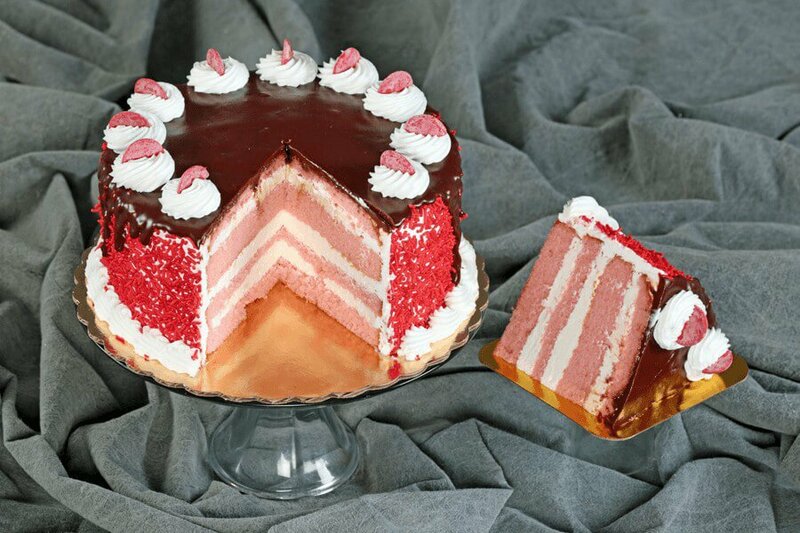 We’ll begin with a typical round-layered or sheet cake. The size of your cake (amount of servings). The flavor of your cake (e.g. the price of a carrot cake is normally more than vanilla cake). Whether you cake has filling (e.g. a plain vanilla cake versus a vanilla cake with layers of strawberry filling). The type of frosting (e.g. a plain buttercream versus a chocolate ganache or rolled fondant). The amount of customization (e.g. a cake with buttercream flowers versus a cake with a drawing or piping of several jungle animals). Depending on each of the 5 variables your cake will fluctuate in price…and quite dramatically. 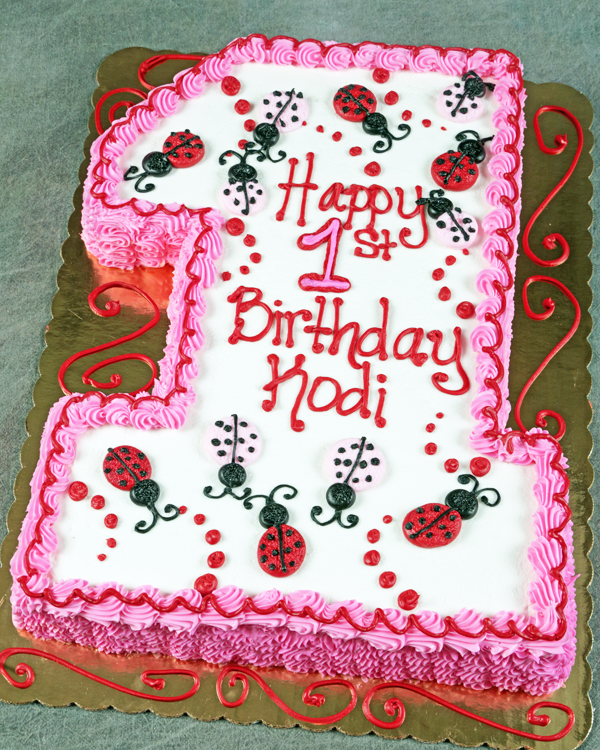 Keep in mind, the largest factor in determining price is the “amount of customization.” The additional cost for your design is dependent on the cake artists charge per hour rate multiplied by the estimated time it will take to complete the cake. For example, if you order a quarter (¼) sheet cake with a grouping of flowers, you’ll probably pay the standard price for a quarter sheet cake. For our example, we’ll say the cake artist has their standard quarter sheet cake priced at $34.99. Now, if you were to add several buttercreams piped jungle animals to the cake, it could take an additional 30 minutes. If your cake artist charges $45 per hour, the additionally piped animals would add around $23 dollars to the cake. By the way, a seasoned cake artist with advanced skills, charges about the same as a senior hair stylist or a nail technician in a spa, which amounts to around $50-$75 per hour. The exception is for wedding cakes. How cake artists charge for designing wedding cakes is a separate discussion you can find in the wedding cake category of our blog. Let’s move onto pricing 2-D (a block of cake that is shaped, but not standing upright) and 3-D (a block a cake that typically has a vertical axis) cakes. 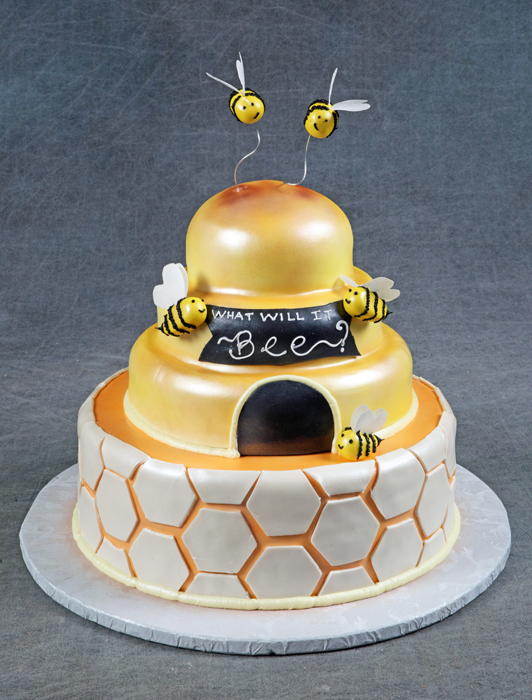 The main difference between buying a sheet or layered cake and a 2-D or 3-D is the advanced skill the cake artist has and the additional time it takes to create a 2-D or 3-D cake. For example, in the 2-D photo below, this cake takes a cake artist approximately one hour to produce. To determine the price, we take the material cost of $18, double it to a total of $36 and then add one hour of labor at $50 per hour to arrive at a final price of $86. While $86 is a fair and reasonable price, (this is according to research conducted by my team) at The Cake Gallery our prices tend to run 30% less than national pricing. At the time of this post, our price was $59. 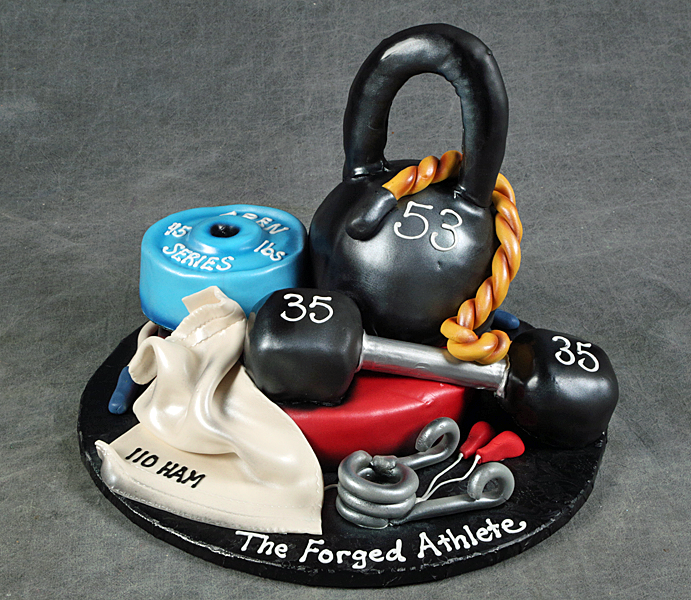 When it comes to a 3-D cake as pictured below, the same pricing criteria used in creating a 2-D cake is being utilized. The key difference is the increased skill and time it takes to design and create it. In the cake pictured below, I’ve used a perfect illustration for a cake that requires a fair degree of skill and knowledge using a combination of buttercream, rolled fondant and gum paste sugar pastes (frosting and sugar based decorating mediums). The cake serves 35 people. It took 5 hours to design and decorate at $75 per hour. Including the materials, the final price was $450. As a marketing test, we emailed this photo to 100 licensed cake boutiques, bakeries and home bakers in the United States to see what they would charge to duplicate it. The highest price was $1,195 and the lowest price was $295. As you can see, there is a great deal of difference for how cake artists value their time, skill and profit. As a side note, the boutique who quoted my research team the $1,195 was not in LA or New York City. 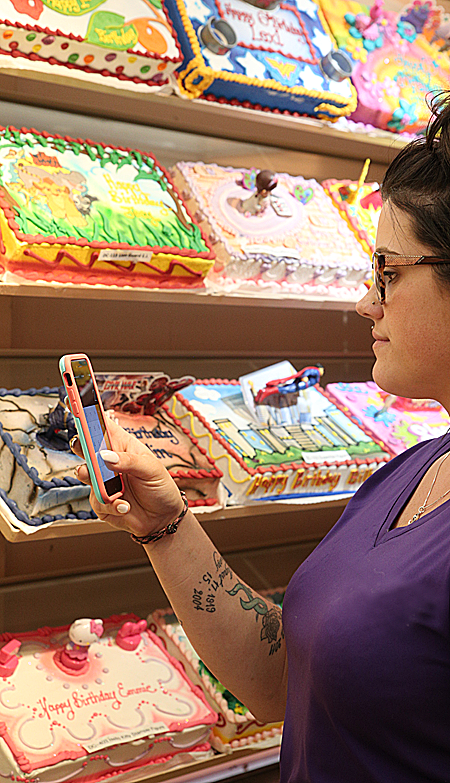 They are a nationally recognized cake boutique, with only 7employees. However, since they are a 5-star cake boutique and in high demand, they’re able to command those prices. The last category are tiered cakes. This category is complex enough to write its own article. So, I’m going to stay on point and share only the absolute need-to-know information. First, there is a simple general rule of thumb for you to remember: The price of any 2, 3 or 4-tiered cake is three to four times the price of an equivalent decorated sheet cake or cakes. For example, if you need to serve for 100 guests, a full sheet cake might cost $80, while 3-tiered cake serving 100 guests will average around $300 to $400. Even if you need a smaller quantity of let’s say 20 servings, a decorated ¼ sheet cake will cost on average $25 to $35, while a 2-tiered cake for the same amount of servings will be in the $85 to $120 range. Once again, the tiered cake is about 3 to 4 times the cost of a sheet cake. A common question I receive is, why is there so much difference in price? If you have read the first two articles, by now you understand the labor cost to create a 2,3, or 4-tiered cake is much higher than a sheet cake due to the additional time it takes to decorate a 2-tiered cake. Sure, the additional material cost adds around $5 to $10 more, but the labor it takes is the main driver for the increased price. Another rule of thumb is that the cost of the materials to bake and create the cake are typically only 15% to 25% of the final price. Keep in mind, it’s all about the labor. Once again, a hair stylist is a good example. When they charge $70 to style your hair, they only spend about $8-$10 in material cost or what amounts to only 12%-15%. When you consider the factors a cake artist uses to price a cake, they offer a pretty good value for the final price they charge. Please recognize, I’ve consulted and coached many cake artists across the country. I’ve found the majority of them are creative hard-working individuals who love baking and decorating cakes. While price is always a consideration, typically you’re going to receive a certain level of service and skill for the price you pay. In finishing this series of articles, here are 6 key takeaways to help you understand pricing a cake. The main driver behind the price you pay is the amount of time it takes to create your cake. The second factor is the skill level of the cake artist or the employees of a cake boutique or bakery. Round layered and sheet cakes are the lowest in price. 2-D, 3-D, and tiered cakes typical are twice to four times the price. A cake business or cake artist can be viewed like choosing a hotel―from one to five stars. Their prices will reflect their level of overall service, talent, and quality of their product. Compare apples to apples. When you price a grocery store bakery against another grocery bakery, you’re comparing apple to apples. When you’re comparing the price of a grocery store cake to a cake created from a cake boutique, you’re comparing apples to oranges. The final determining factor is the availability of your cake artist. High in demand cake artists will charge labor rates, which in turn makes their prices considerably higher than average. It doesn’t mean they’re ripping you off, it simply means the marketplace recognizes their superior talent, customer service and business philosophy.